The stories in "Wheels Up" are not made up. 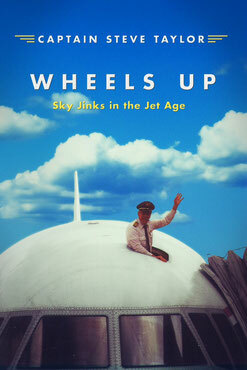 They are the real deal, true antics of a jet age pilot in the high-octane environment of the cockpit. Some will give you pause, and make you think, some will knock the wind out of you, and some will make you throw your head back and laugh. "In order to separate himself from the panicked lady, Captain Blankenship had to roll off and reach over her nakedness to untangle his foot...."
"You--ah--don't suppose we left him in Memphis?" "Left him? How could you leave the Captain?" "...At this moment I began my imitation of a cougar coughing. "My God," the doctor screamed. "Its not a bobcat -- It's a cougar! TURN THE LIGHT ON! TURN THE LIGHT ON..."